Automatically Download Subtitles on Plex. Plex is a Media Server that will allow you to stream and organize your videos, directly from your Server. It is full of mind-blowing features like Offline-Sync, Various of Codecs, Casting, Infographics of Show or Movie and much more. 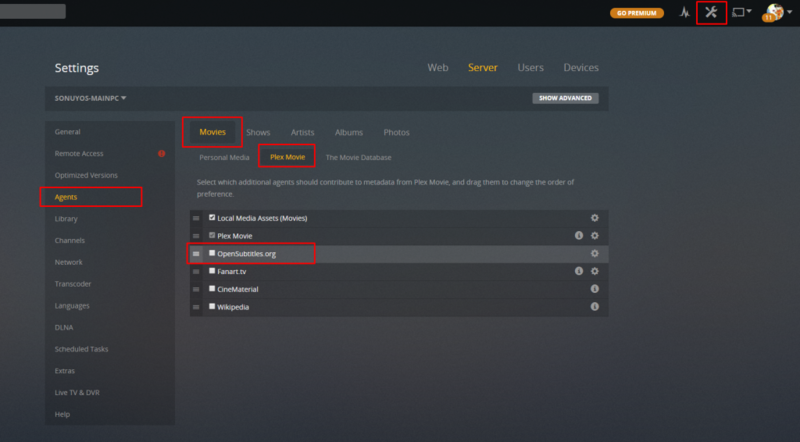 The following guide will help you with the installation of Plex Media Server (PMS) on your Window RDP, VPS or Server. 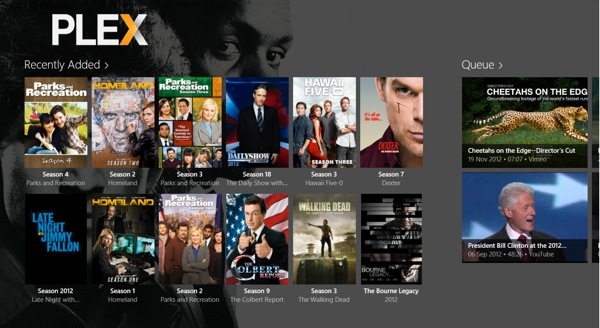 This following guide will help you install Plex Media Server on your personal PC. If you do not want to download the content on your PC and stream directly from the server, then few of the following service will help too. The above services are compatible with the Windows Version of this guide. For Ubuntu Version, you can follow this link – INSTALL PLEX MEDIA SERVER ON UBUNTU 14.04 OR 16.04. 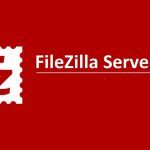 How to Automatically Download Subtitles? 1. Setup Plex on your Server/PC. Follow Windows Guide or Ubuntu Guide. 2. Once setup is done, Configure your Plex Server. 3. Once configured, go to Settings and then click on Agents followed by Movies and then Plex Movies. 4. Tick – OpenSubtitles.org option. 5. Repeat the same for Shows. But instead of Plex Movies, there should be an option for TheTVDB, Select that and tick OpenSubtitles.org option again. 6. (Optional) Once Done, You can also click on the cog and setup OpenSubtitles.org account, it is recommended. To Sign Up, Click Here. This guide will help you on how to Automatically Download Subtitles on Plex. To configure, please follow this link her – CONFIGURE PLEX MEDIA SERVER ALL PLATFORMS. For Installing Plex on Windows. 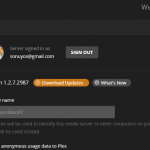 Click Here if you want to INSTALL PLEX MEDIA SERVER ON UBUNTU 14.04 OR 16.04. Click here for More Plex Related Guides. Our other services like Seedbox and Linux VPS, support Plex too. Contact us for installation on that or follow the above guide to install it yourself.